Summer time is all about fun so why not have some real fun with your sandals, nothing boring lots of audacious, bright colours or detailing or what about some fabulous florals …. 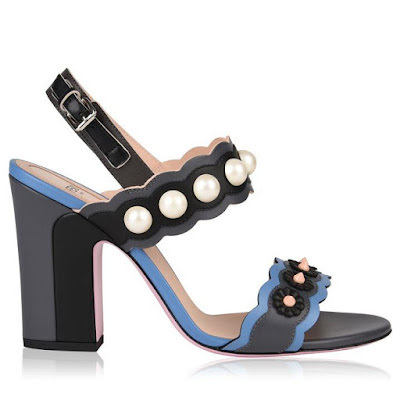 Upgrade your footwear collection with these Pareland sandals from Fendi. 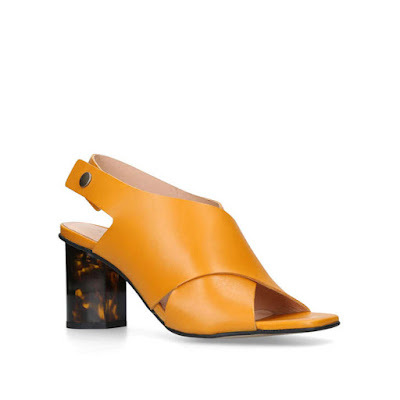 This pair are crafted with an open toe, featuring a block heel, buckle closure and tonal design. Finished with two embellished straps across the front, this pair are not one to be missed. From the structured fringe to the glossy plaque at the front, these tan suede sandals are a plush and versatile investment from Sergio Rossi. Match with a pristine pedicure. Platforms have never looked more luxe. The Carla sandals have a substantial block heel and are accentuated by slim, contrasting crossover straps. Crafted from botanic-patterned jacquard, they elevate any look from jumpsuits to structured dresses. Styled in glossy patent leather, these printed Salvatore Ferragamo sandals are set on gilded heels with a fun scalloped silhouette. Note how the dainty ankle strap will keep them in place. 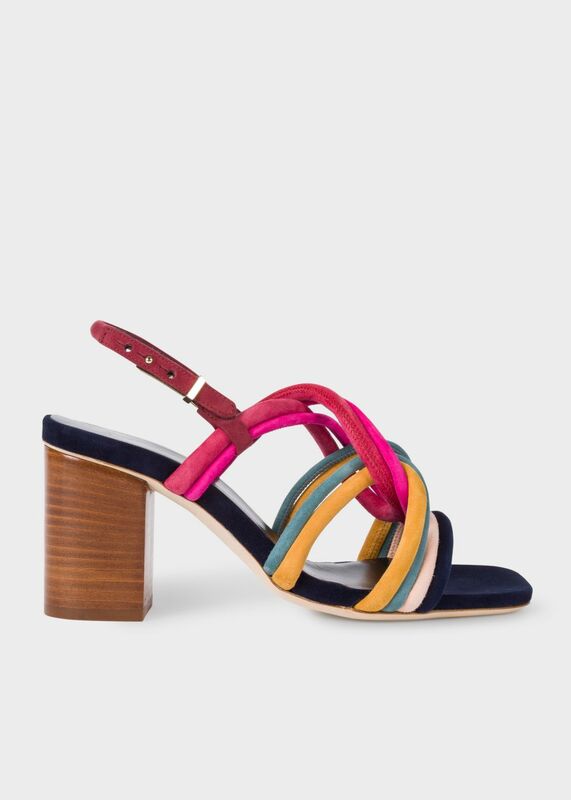 Crafted from premium leather, these open toe 'Carla' sandals feature multi-coloured suede criss-cross straps in pink, yellow and blue and are set on 7.5cm heels.Complete with adjustable ankle straps, these shoes are finished with cushioned leather footbeds with foil embossed signature and feature a suede toe front. They are set on sturdy nubuck-finish leather soles with rubber inserts for extra grip. Fabulous heeled sandals from See By Chloé. Crafted from smooth leather, the heels showcase an open toe and two adjustable straps with gold-toned buckle closures. Accentuated with contrasting whipstitch detailing. Set on a stacked block heel and finished with signature branding to the cushioned footbed. A drawstring dust bag is included. These Tania sandals by See by Chloé feature a comfortable medium block heel that will support you every step of the way. 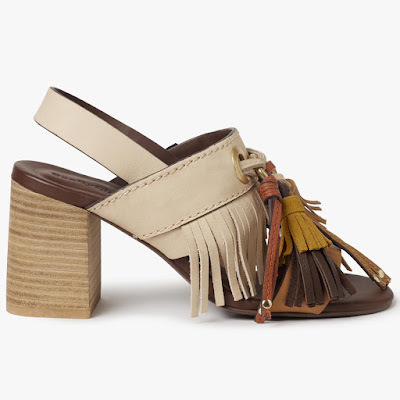 The sandals feature a buckle-free ankle strap, an open toe and a front fringe and tassel embellishment in soft earthy hues. 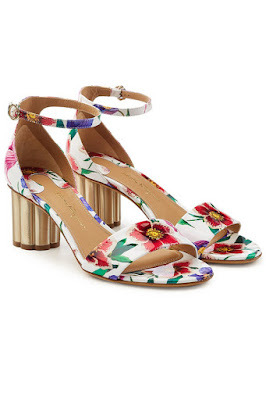 For when your legs need that extra length, these heeled sandals are the answer. Crafted in soft suede and designed with a stiletto heel, the metallic sole will complement your favourite jewellery. 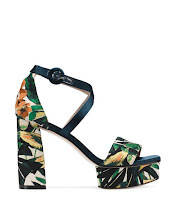 It's all about the statement heel, and Kurt Geiger London's Stride Sandal 70 is set to be this season's most covetable. Crossed straps in yellow create feminine appeal, while a patterned cylinder heel offers 70mm of height and a whole lot of interest.